Residential Real Estate Sales and Leasing, Commercial Real Estate Sales, Property Specific Marketing, Certified Negotiation Expert, Buyer's Agent, Listing Agent, Relocation, Moving. With a unique blend of personality and professionalism, Drew has been a Top Producer in the Austin area since 2007. Raised in North Austin, he developed a love for the city very early. With a detailed and extensive knowledge of Northwest and West Austin, Lakeway, Round Rock, Cedar Park, and Georgetown, Drew has the market awareness to provide the critical advice to all of his buyers and sellers. As the former Co-owner and General Manager of a successful marketing and printing company designed for real estate professionals, he has years of experience with all aspects of real estate marketing. If there's a secret to Drew's success, it's his quick understanding of the unique needs of each client - buyer or seller. His honest ability to form a bond of instant trust makes him an invaluable ally in any successful home transaction. His personal approach to business is characterized by impeccable professionalism mixed with warmth, ingenuity, and humor. This is why in just 11 years in the industry, Drew has sold over $100,000,000 in real estate and has established himself as one of the Top Realtors in the Greater Austin Area. 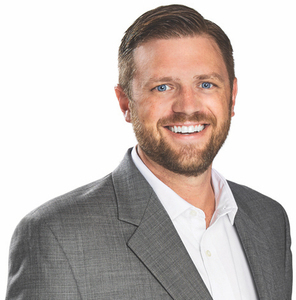 Drew has won multiple industry awards including being a two-time winner of the coveted Platinum Top 50 Agents in Austin Award, and Austin Business Journal Top 25 Realtor Finalist. If you are looking for a Realtor who truly cares about his clients, Drew has the experience, knowledge and drive to deliver a world-class experience to his buyers and sellers.